Approximately 700 years before Christ was born, the prophet Isaiah wrote about the Messiah. Isaiah contains some of the most incredible prophecies of any book. It contains foreknowledge, in incredible detail, about the Messiah and the future reign of Jesus Christ. 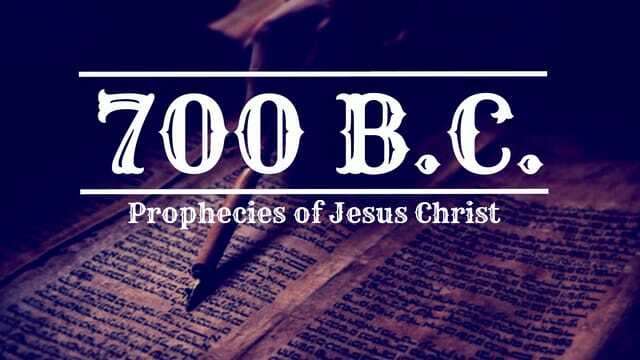 During the month of December we will be looking at key prophecies of Jesus Christ and explore how they relate to you today! This is a great way to prepare your heart for Christmas! We hope you experience God in a meaningful way at ThornCreek Church! All elements of ThornCreek are designed to help you discover God's love and purpose for your life. It's a great place for the spiritual seeker or the deep-rooted Christian. We want to connect with you. Check out our site to find out what's happening and to find out more about the ministries at ThornCreek. 1. Take the 3 Weekend Challenge. 2. Attend the New Friends Dinner. 3. Attend the TC Membership Class. 4. Join a Small Group. Click the link below and fill out the form to tell us more about yourself, if you're interested in volunteering, if you've made a decision about Jesus Christ, to register for any event or to provide comments. ThornCreek Children’s Ministry strives to partner with families to raise children in the way of Jesus. It’s our goal for children to be transformed by the love of God, to grow in their walk with God, surrender their lives to God, and be a light in the world for others to know God in the same way. Our curriculum takes the kids through the Bible in a year and they are invited into The Big God Story to experience it and discover who God is and how they fit into His plan! We believe that parents have a huge impact on the faith of their children! Every Monday, parents are emailed a Family Bible Study that you can do throughout the week with your kids. We also have a repeating 6-week Spiritual Parenting small group that you can be a part of to learn more about raising your children to know God! We have classes available each weekend for Infants through 5th grade. All volunteers have passed background checks and we have security procedures in place to create a safe environment for your kids. TC Teens Ministry’s mission is to create a safe place for teenagers to encounter Jesus, to ask questions, and to experience the Love God has for them, while ultimately integrating them into the body and mission of Christ. Did you come with kids? | The teaching time in our Worship Center is designed for adults (Middle School and older). Children, 5th grade and younger, will be much more comfortable in our TC Kids Ministry which is designed just for them! There, your child will engage in age-appropriate teaching, games, music and more. You can check your child in for a TC Kids Ministry classroom at the check-in table located in the Lobby. If needed, the Lobby becomes our Cry Room for parents with infants during service. If you have further questions, please stop by the TC Kids Ministry check-in table in the Lobby today. Volume | If you find the music too loud, please visit the Welcome Table for ear plugs. Ear plugs are also available at the Worship Center doors. Prayer Requests | Prayer requests can be submitted via https://thorncreek.church/prayer-request. The TC Prayer Team would love to pray for your requests during the week. There are also TC Prayer Team members available to pray with you after service at the front of the Worship Center. Distractions | To allow you and those around you to be more fully engaged in today’s service, please refrain from leaving the Worship Center during service. Also, please turn off or mute all cell phones and other mobile devices. Please use the Lobby area for any necessary conversations. When you're stressed out, you can spend your energy on the wrong thing. Before you worry, cry out to God. God will show you what’s blowing smoke. Ever needed a SIGN from God? The attitude of your heart determines whether or not God will give you a sign. Download this week's message study guide for use with your small group or personal study. 1. Give via text. Text GIVE to 720-619-2688. 2. Give online via the link provided below. 3. Give via check or cash by dropping either in the offering that will be passed during announcements or in the giving box located in the lobby.